Almost every major credit card issuer has at least one credit card with an awesome balance transfer promotion that will allow you to pay no interest on your balance for at least six months. If you're currently paying a high-interest rate on one of your credit cards, you may jump at the chance to apply for a balance transfer credit card and move your balance. Making a balance transfer might help you save money on interest, but it could hurt your credit score. First, let's look at how your credit score is calculated. Your credit score is calculated based on five basic factors in different proportions: payment history, level of debt, the age of credit, mix of credit, and recent credit applications. Credit card balance transfers can affect your credit score in these areas: level of debt, the age of credit, and recent credit applications. Your credit score considers your credit card balances in relation to their respective credit limits (this ratio is known as your credit utilization) and your total credit card balances compared to your aggregate or total credit limits. This part is 30% of your credit score. The higher your credit utilization, meaning the higher your balances are compared to their credit limit, the lower your credit score will be. If you transfer a balance to a credit card with a lower credit limit than the previous card, your credit utilization will go up and you could lose credit score points. Fortunately, you can regain lost credit score points by paying down your balance quickly. 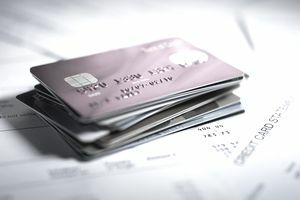 Ideally, your credit card balances should be below 30% of the credit limit. Age of credit measures how long you've been using credit and counts for 15% of your credit score. This part of the credit scoring calculation averages the length of your credit accounts and the age of your oldest account. If you remember averaging from grade school math, you can see how opening new credit card accounts will lower your average credit age. It's similar to how a bad test grade would drop your total grade for the class. Transferring your credit card balance to an account that's already open won't damage your credit score in terms of credit age. However, if you open a new credit card, your average age of credit will decrease. You probably know that each credit inquiry makes a small dent in your credit score. Since recent credit applications are 10% of your credit score, applying for a balance transfer credit card could cause your credit score to drop. Only the application affects your credit score, not the approved or denied outcome. FICO, developers of the widely-used credit score, says that inquiries typically only hurt a credit score five points or less depending on the other information in your credit report. The other good thing is that only inquiries from the past 12 months will affect your credit score. While transferring a balance could impact your credit score, you can regain any lost points by paying on time, reducing your balance with regular above-minimum payments, and waiting before making any new credit card applications. Don't rule out a balance transfer because of the potential impact on your credit score. Think also about the cost of the balance transfer and the cost of not doing a balance transfer to help make your decision.